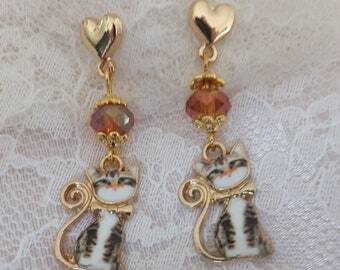 Announcement December 28, 2018: Check out my Facebook page (The Cats Meow Earrings) to see some of my most recent creations. Most items listed on Facebook can be custom ordered through Etsy. My focus has been charitable donations, rather than sales, so I tend to maintain a limited number of listings in my Etsy shop and spend most of my energy "crafting for charity". All proceeds from my items sold at the listed locations are donated to support the organizations' animal welfare efforts. * The San Francisco SPCA's Mission Campus Adoption Ctr, 250 Florida St, SF, California. Their retail table is open Sat/Sun 10am-5pm. 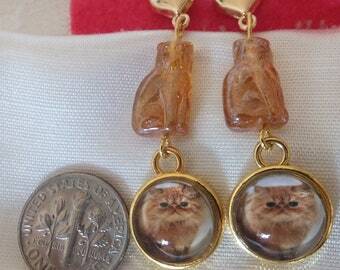 Please support these organizations' efforts by purchasing The Cats Meow Earrings from them. I donate the jewelry and the organizations retain the full selling price. 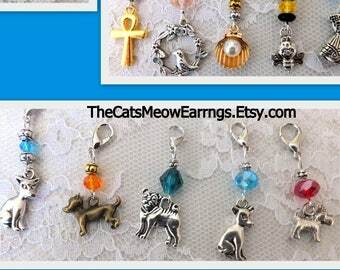 December 28, 2018: Check out my Facebook page (The Cats Meow Earrings) to see some of my most recent creations. 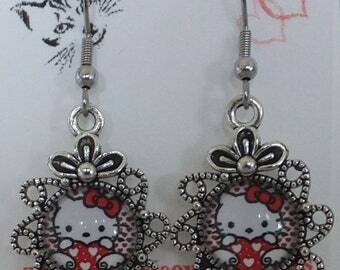 Most items listed on Facebook can be custom ordered through Etsy. My focus has been charitable donations, rather than sales, so I tend to maintain a limited number of listings in my Etsy shop and spend most of my energy "crafting for charity". 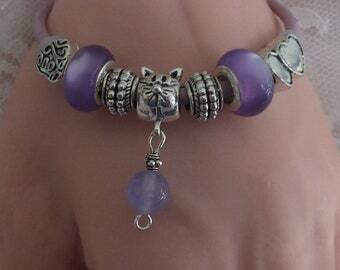 Love these colorful kitty charms. Have two so far and plan to purchase more. Always a pleasure doing business with the shop. Quick ship as well. 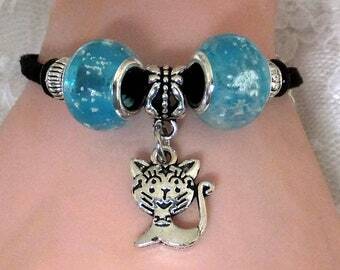 Very cute kitty charm. Great detail. Quick ship and friendly service always. Was much cuter than the picture. Quick ship and very friendly service. Will definitely be purchasing more. I think this is a white cat or a black cat or a white dog or a black dog I’m not sure but both of them are really cute and I plan on using them in on a bracelet for sure or hanging charm for my necklace very nice. I love creating party favor decorations. The small tree was decorated with holiday earrings, bookmarks & zipper pulls. 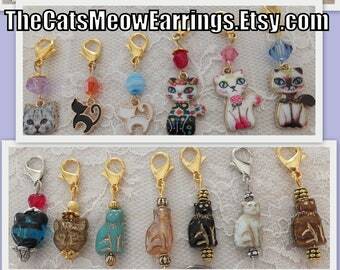 I spend some of my free time creating catnip toys & animal themed earrings for our local animal shelter to sell. 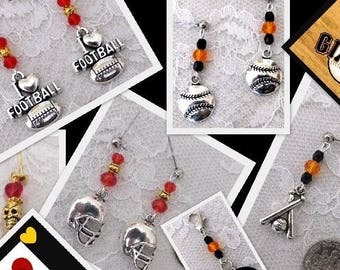 Holiday sets of earring charms are a wonderful party favor for your guests. Ask me about special party pricing. Ask me about creating party favors for your special event. They can be simple or as elaborate as the Christmas tree. Catnip pillow party favors with Halloween zipper pulls. These can be done in any holiday theme - just ask! I have two passions - animal welfare and crafting. I spend some of my free time volunteering with my local animal shelter. My volunteer contributions consist of donating handcrafted items for the shelter to sell - catnip toys and animal themed earrings. I truly admire those who work one on one with the animals, giving them love and attention while they await their adoptions. I don't have the heart for it. I used to - but it just got harder and harder to leave them behind, knowing that another day had gone by, and they hadn't been chosen. So - my donations don't involve any animal face time. We do have 2 shelter kitties in our family and they are both treated like royalty. I don't fancy myself a "jewelry designer". My earrings are simple - pretty beads paired with cute charms. They are fun and whimsical and reasonable enough to purchase an entire wardrobe without breaking the bank. I don't hammer my own silver, or fire my own beads. That work is for the artisans - not for me. I love to do party favors. There is nothing more delightful than seeing the joyful excitement of the guests as they "check out the merchandise"! I have done a number of Christmas earring trees over the years, and the reception is always a joyous one. The ladies gather around the tree - checking out the earrings and deciding which suits them best. If you're interested in a party favor center piece or little party favor boxes or bags, just email me with the specifics. Let me know what you'd like to spend - and what you'd like to get. I am hesitant to put prices, because so much will depend on the details. Remember to include the potential cost of postage in your budget, as well. In any case, enjoy the pictures. Hopefully, I've given you some good ideas for your next event. If you have the time, you can always DIY. I guarantee that party favor Christmas tree will be a big hit. 1. 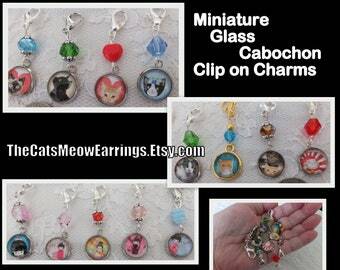 Earrings, Zipper pulls, bookmarks? or a combination? 3. Cello bags or favor boxes? Christmas tree? Easter centerpiece, Halloween centerpiece? 4. Number of guests/favors needed? 5. Price range (incl. postage in your budget)?